A beautifully rehabbed house in Northern Liberties, ready to be called home. Enter and discover the hardwood flooring, high ceilings and recessed lighting throughout. The open living and dining room floor plan leads naturally into the updated kitchen, featuring stainless steel appliances, granite counters and a tiled backsplash. The kitchen also has access to a rear yard with privacy fencing. Upstairs includes two light filled bedrooms with ample closet space and a tiled hall bath, and one ensuite bedroom with its own custom tiled bathroom. 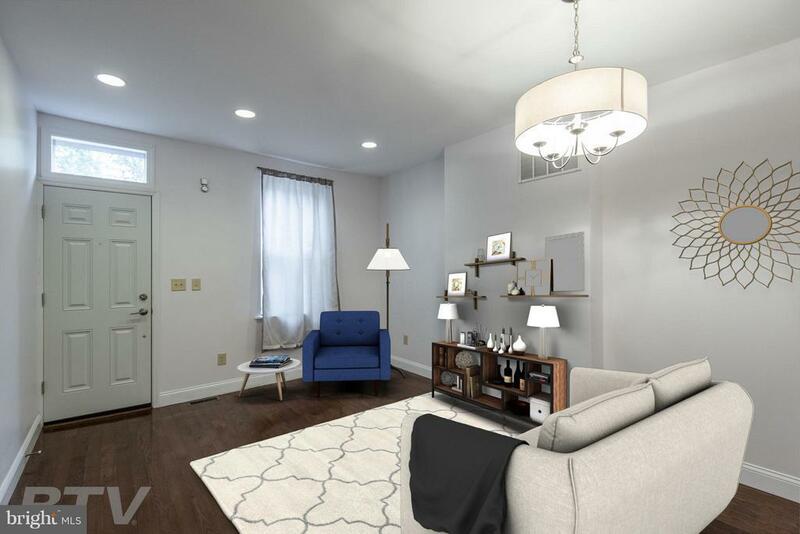 Located on a quiet side street in Northern Liberties, this home is within easy walking distance to the excitement of the Piazza, a variety of restaurants and shops on Second Street, and close to all that the Girard Commercial corridor has to offer. Dont wait, schedule a showing today! Please check OPA for 2019 taxes due to possible citywide reassessment.